One of the neatest things about bromeliads are their flowers. The flowers can stay blooming for months, but eventually they fade and die. This doesn’t mean the plant is dying; it just means the plant is focusing energy on the leaves and roots. Do bromeliads flower once and never again? Some bromeliads bloom regularly while others don’t. Getting bromeliads to rebloom takes the patience of a saint, time and the right variety. 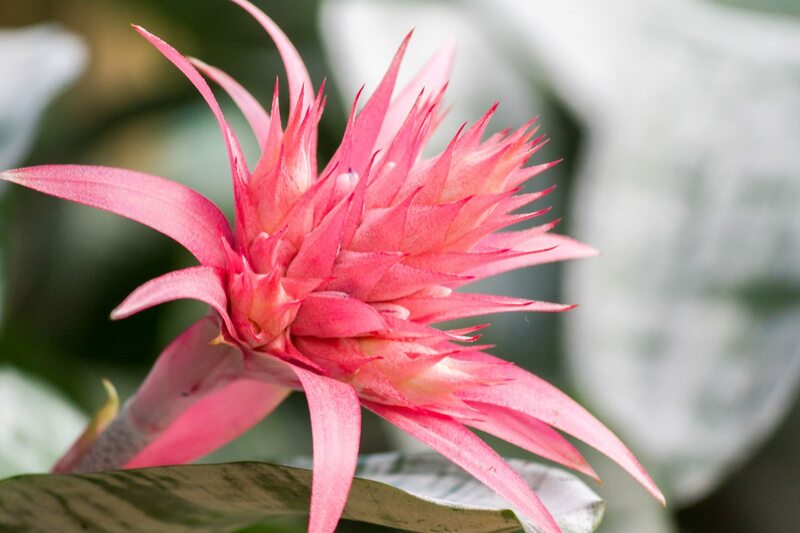 Bromeliads often come with their amazing flowers in bloom. These wonderful inflorescences last for months and the plant itself thrives with minimal care in bright indirect light. It is always sad to watch the bloom die, especially since the plant itself probably will not bloom. However, there is light at the end of the tunnel. With good bromeliad care after flowering, the plant will produce pups. Only mature bromeliads bloom; therefore, you can wait until a pup matures and enjoy the same flower spike. Bromeliads are denizens of tropical rainforests. They are epiphytic in nature and reproduce vegetatively by forming offsets or pups. Once the unique flower is spent, you should remove it so the plant can spend its energy on forming pups. 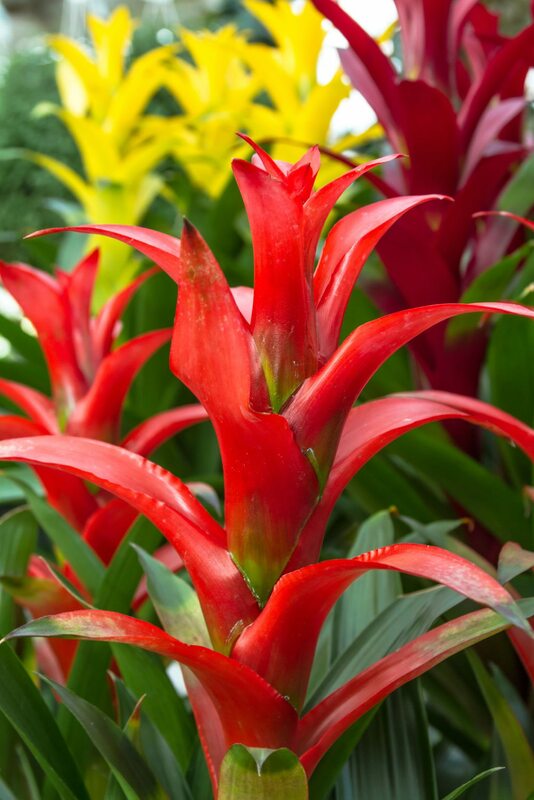 Bromeliad care after flowering is much the same while it was in flower. The leaves form a cup in which you can pour water. Occasionally change the water in the cup and rinse the area to remove any salt or mineral build up. From spring until the dormant season in winter, mix a half dosage of liquid fertilizer every 2 months applied to the soil, not to the cup. 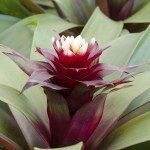 Care of bromeliads after flowering is focused on getting vegetative growth and new pups so you can separate them for future blooming plants. Bromeliad flowers are such unexpected forms and colors. When the blooms are spent, the plant is still spectacular, but you miss the vibrant flower tones. Do bromeliads flower once? Yes, they do. 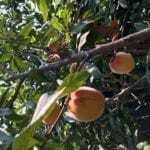 It takes a mature plant to flower and once it does, it produces offsets and the main plant gradually begins to die. It can take years, but eventually all you will have left is its offspring. Luckily, each of these can be divided away, potted up and grown for a few years to maturity. If you are lucky, these will produce the same bloom as the parent plant. It is quite a long time to wait but may well be worth it since these plants need little special care. Use sterile scissors or a knife to divide the pup away from the parent. You should wait to do this until the offset is a third the size of the parent. If necessary, you can trim back the parent plant’s leaves to allow more room for the pup to grow. Remove pups in spring for best results. Allow the wound to callus for one week. Mix a batch of medium with equal parts bark nuggets, perlite and peat. Insert the cut end of the pup and any roots into the medium. The pup may need support for the first few weeks as more extensive roots are grown. Otherwise, the same care you gave the parent will produce a healthy plant. To help it bloom, you can add time release fertilizer in spring around the soil medium.